Add a splash of colours to your ethnic wear with these multicolor stone earrings. Featuring a beautiful combination of green and blue, these danglers are detailed using gold metal. 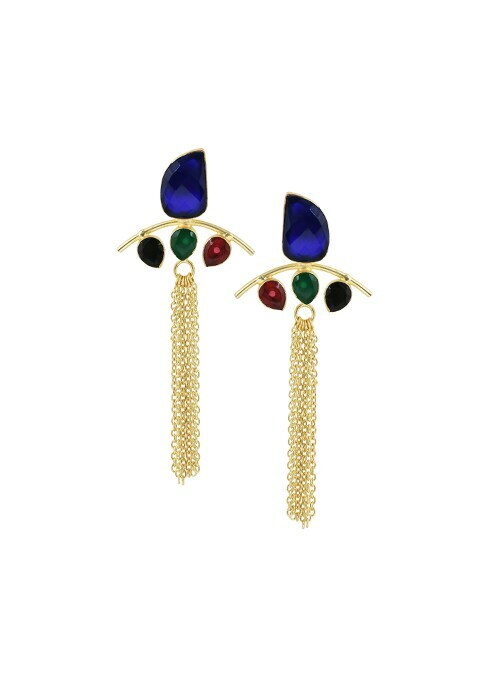 Work It - Pair these earrings with an ethnic gown.